FASTER RAIL on the agenda for state and federal election … but what lays behind this? | COMMUNITY ACTION ALLIANCE FOR NSW (CAAN): HOUSING INEQUALITY WITH AUSSIES LOCKED OUT! FASTER RAIL on the agenda for state and federal election … but what lays behind this? Apart from his engagements with Huang and others it is now revealed he has been beavering away on a concept of a megacity of 15 million people between Newcastle and Nowra! –HSR can be funded and maintained by tourism; Austria with an 8 million population has one of the best Rail Transport Systems in the World!! AUSTRALIA like NORWAY is an EXPORTING NATION (CHINA needs us) and we should maintain a small population so that our wealth is not diluted by high immigration growth with the expense of infrastructure etc to meet this contrived demand. The Berejiklian government is expected to commit to a feasibility study to identify the best route for faster rail services to connect regional areas to Sydney. With the Liberal-National coalition entering campaign mode ahead of the state poll in March, the government is understood to be set to announce as early as this week that it will consider the feasibility of as many as four routes for high speed, or faster rail services. The most likely routes to be considered include Sydney-Canberra via the new $5 billion-plus airport at Badgerys Creek, and Sydney-Newcastle. 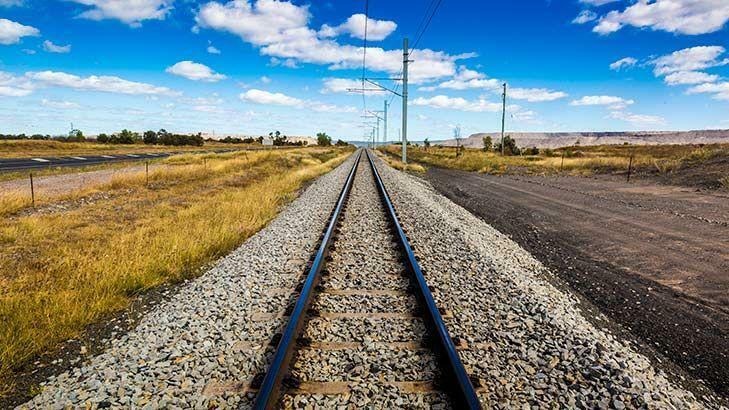 A commitment to a feasibility study will place the prospect of faster rail on Australia’s east coast on the agenda for both the federal and state elections next year. Three business cases for faster rail on the country’s east coast – one of which will consider the viability of a line between Newcastle and Sydney – are also due to be completed early next year after the federal government set aside funding in March. Transport sources said the most viable route for a faster train line was Sydney-Goulburn-Canberra. “But you can’t build it without federal funding,” one said. The state government is already committed to new transport projects, such as a metro line from Sydney’s CBD to Parramatta and a second motorway tunnel under Sydney Harbour, whose combined cost will run into the tens of billions of dollars over the next decade. A new line for a fast train from Sydney to Newcastle is likely to be prohibitively expensive because the terrain would require a significant length to run through tunnels. In July, NSW Labor promised to commit funding for a study into reducing the four-hour train journey time between Sydney and Canberra if it is elected to government at the state election next March. Premier Gladys Berejiklian said several months ago during a trip to Japan that she would “love to see high-speed rail servicing” the state but noted that it would need to go beyond NSW and would require federal funding for it to become viable. The Premier’s office declined to comment on Monday. But NSW Nationals leader John Barilaro, who holds the marginal seat of Monaro, said last month that part of the funds the state received from the sale of the Snowy Hydro scheme will go towards identifying a new rail corridor for a fast train line between Sydney and Canberra. A report by Infrastructure Australia last year said high-speed trains could be running between Canberra and Sydney within 15 years. However, the country’s peak infrastructure body said governments needed to act quickly to buy land along any proposed rail corridor to avoid potential cost blowouts. Federal Labor’s transport spokesman, Anthony Albanese, has long been a proponent of high-speed rail on Australia’s east coast. He has been pushing for a high-speed rail authority to be set up to oversee planning, a business case and the options for private sector investment. A $20 million study commissioned by the Rudd government and completed in 2013 estimated the cost of a high-speed rail line from Melbourne to Brisbane via Sydney at $114 billion.